Despite the ongoing Penn State saga, Pepsi has announced that it will remain a sponsor of the school and football team. In an email to DailyFinance, a Pepsi spokesperson wrote, "We are very concerned about the current allegations surrounding certain individuals at Penn State University, but will continue to honor our longstanding relationship." Other brands have hastily withdrawn sponsorship, such as Sherwin-Williams and Cars.com. 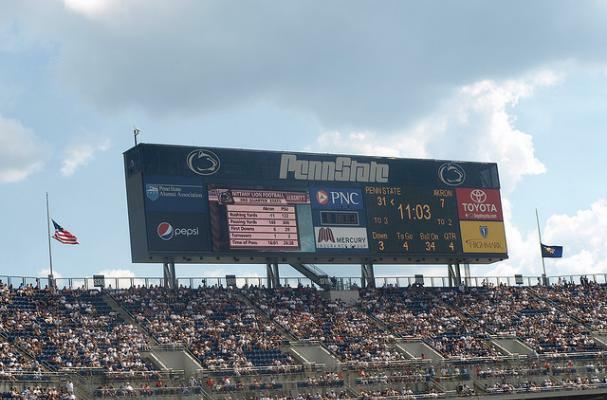 Do you think other brands should follow Pepsi's lead and continue supporting Penn State, or should they withdraw sponsorship considering the allegations about former assistant coach Jerry Sandusky and head coach Joe Paterno's termination?